The answer to the above question takes us to a more pertinent question that most of us who are unaware of the legal system through and through face. When to change your advocate? There are, basically, six ways to determine should you need to change your advocate or not. The first way is to determine if he has broken any ethical standpoint. An ethical rule is a very broad umbrella it can be related to competence, diligence, confidentiality, conflicts of interest or even safeguarding of property. Secondly, you have to judge if your case is not moving as quickly as it should. This can be continuance without explanation, it could be missing due dates or it can also be arriving late or unprepared for hearings. Thirdly, it has to do with the quality of work that your advocate is producing. This is when he or she is waiting for the very last instant to file pleading, make a lot of typos and grammatical errors and forgetting details of the case or whatever be the reason that you think that he or she is not producing quality work. The fourth reason that you should consider changing your advocate is because you are personally not comfortable with him or her. This can be because you do not trust that person. You feel that there are personal conflicts at play or even when both of your level of understanding does not match. Fifthly, you have to make sure that the court will allow a change of advocate. There are certain cases, for example, if the hearing is very soon then a court might not allow a change of advocate, to be on the safe side, it is always to make sure that you are allowed to do it, before you actually get it done. Lastly, make sure that you have someone ready to take the position of your previous advocate before you let him or her go. However, incompetent or otherwise, it is always advisable to have an advocate by your side when court proceedings go by. So have an advocate ready and see that the new one will not fall into the same trap as the old one and he or she is better equipped to handle your case than the capability of your previous advocate. When you are facing one or more than one of the above situations, you should mentally prepare, and then, actually change your advocate in reality. Changing an advocate is a very simple process in India. If the advocate is indulging in any of the above activities, you can simple approach another one and appoint him or her to take over your case. Remember, you are paying his or her fees, therefore, you are the boss and have the authority to fire and hire as you wish. Even if your advocate is competent and is doing his or her duties diligently, you can still go ahead and change your advocate. 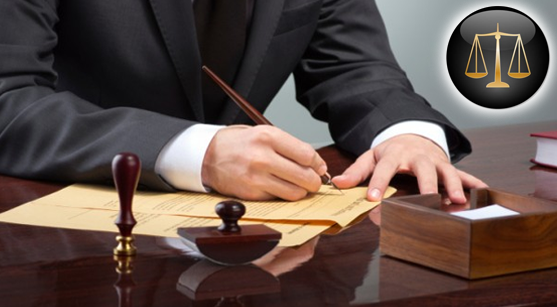 All you have to do is get a No Objection Certificate signed from your previous advocate and produce it to the court and the newly appointed advocate.